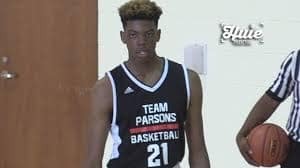 The Gators’ frontcourt just got a major boost for the 2019 class with a major commitment from in-state big man Omar Payne. 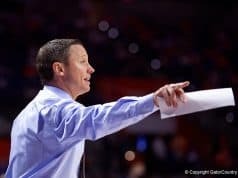 The 38th ranked player in his class, his commitment to Coach White gives the Gators a major shot of talent into a frontcourt that hasn’t seen a player of his level from a recruitment standpoint in multiple seasons. The Gators were considered to be in good shape for Payne throughout his recruitment and when his transfer to Montverde Academy was announced it really put them into the driver’s seat. Payne picks the Gators over schools like Florida State, Louisville, Ohio State, and LSU. Not only does this mark a valuable get for the Gators, but it marks the first player Coach White has been able to nab that has been heavily interested in both the Gators and the Seminoles. Locking down an in-state talent against a rival that has had the upper hand in head-to-head matchups in the past is fantastic and a great sign for the Gators moving forward. With Kevarrius Hayes set to graduate after this season and Keith Stone getting some NBA buzz the Gators could lose their entire starting frontcourt this year and though there are some talented pieces in place such as Chase Johnson and Isaiah Stokes, the injury bug has bitten those players in the past as well Gorjok Gak and Dontay Bassett, the other frontcourt pieces. Payne is an elite defender and specializes at turning away shots at the rim. 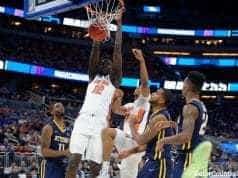 He’ll probably be looking at adding some more weight to his 6’9”, 215 pound frame but the agility that lets him slide over to protect both sides of the rim and switch out onto guards on the perimeter is something that could be his calling card throughout what is hopefully an amazing career for the orange and blue. Offensively he has some touch and doesn’t look out of place on that end but it’s his work on defense that will make him and impact player from the moment he steps on the floor. 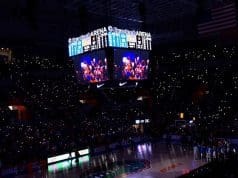 With a stud point guard in Tre Mann locked down in addition to a powerful paint player in Omar Payne, the Gators now shift their sights to the major wings on their board in Scottie Lewis and CJ Walker. CJ Walker still has visits planned and is likely to decide in November while a Scottie Lewis is expected to decide any day now as he is down to Florida and Kentucky. Keep it locked to Gator Country for more recruiting news as the fall continues!